Tiara has worked hard since high school, sometimes juggling three jobs to support herself. 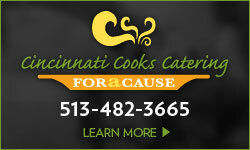 Through Cincinnati COOKS! she now has the skills and opportunities to provide a stable life for her and her family. Growing up in Forest Park, Tiara had a difficult relationship with her mother. Eventually, the tension caused Tiara to move in with her grandmother while she completed high school at Winton Woods. After graduation, Tiara thought about joining the Army or attending community college, but neither seemed like the right fit for her. She found a job as a housekeeper at a nursing home and steadily increased her responsibilities there. But something was missing in her work. Tiara heard about the Cincinnati COOKS! program from a friend who graduated in early 2016, and she decided to apply. Starting in a new program in a new field was a struggle for Tiara, and she seriously considered quitting. But the support of COOKS! staff encouraged her to continue. 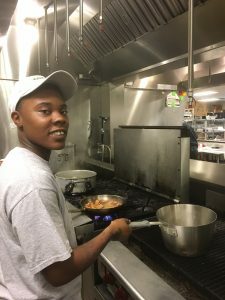 Once she settled into the program, Tiara decided to get ahead on her job search and look for work in the culinary field. She was hired to work in the kitchen at a suburban hotel, and within a couple of weeks was promoted to kitchen manager. Juggling COOKS! training, work and taking care of her three children has been challenging, but Tiara has big plans for herself and her family. 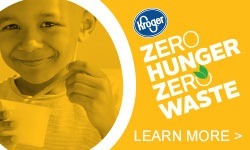 In preparation for a Cincinnati COOKS! 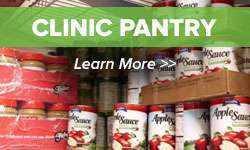 job fair, COOKS! staff helped Tiara update her resume. After meeting with several employers, Tiara was offered a full-time position, starting after graduation, with benefits and a salary that would allow her to provide the safe and stable home for her family that she dreams about. Tiara plans to accept the position, and she also wants to continue her culinary education by taking Second Course and eventually pursuing a certificate or degree program.